Prominent & Leading Exporter from Mumbai, we offer titanium grade 5 fasteners, titanium grade 7 fasteners, titanium fasteners and titanium nut bolt. Titanium Grade 5 fasteners include bolts, screws, nuts, washers and some others. We are capable of supplying titanium Grade 5 fasteners from M4 to M24 for both CP and titanium alloys. 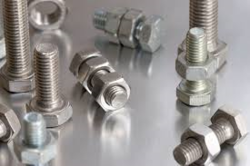 Titanium Grade 7 fasteners include bolts, screws, nuts, washers and some others. 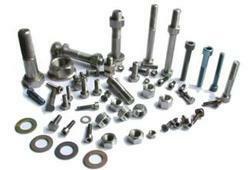 We are capable of supplying titanium Grade 7 fasteners from M4 to M24 for both CP and titanium alloys. Titanium Fasteners offered comes designed and developed in sturdy construction finish and provides for stable working support as demanded from the customers. Further, the offered fastener choices can be made available by us in different standard choices like DIN and others. Some of its features include high strength construction finish; available in grade choices of GR5, GR2, GR7 and others; different bolt sizes of M4 to M22 in length; nut sizes of M4 to M22, washer sizes of M4 to M22.